This is another match of teams placed in Group B of CCL 2016. They have come all this way from by facing unexpected results from their earlier matches. 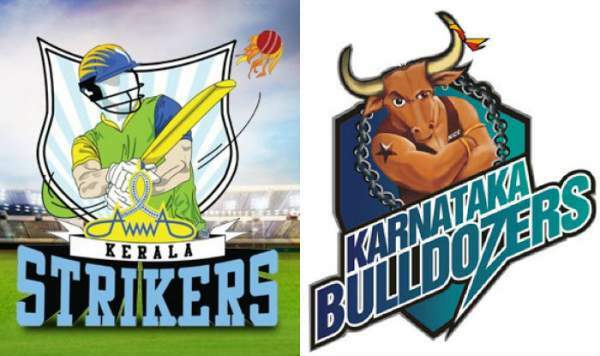 It was like a one-sided match between Karnataka and Chennai in which the Bulldozers won easily. On another side, Kerala lost against defending title holder Telugu Warriors. In their previous match, Bulldozers scored a big total of 211 runs against Chennai to which the opposition only able to score 128 runs for 9 wickets in 20 overs. Thus, the former team won by 83 runs. While the Kerala side were defeated by the daring batting of Telugu side batsmen especially of Sudheer Babu which Telugu side won by 5 wickets. Karnataka Bulldozers: Sudeep, Darshan, Rajeev, Tharun Chandra, Tarun Sudhir, Dhruv, Vishwas, Pradeep, Rahul, Chetan, Dharma, Sunil Rao, Jayram Karthik, Abhimanyu, Mahesh, Rajesh and Mayur Patel. Kerala Strikers: Mohan Lal, Asif Ali, Unni Mukundan, Rajeev Pillai, Bineesh Kodiyeri, Manikuttan, Arjun Nandakumar, Manty, Vinu Mohan, Suresh Nair, Prajodh Kalabavan and Riyaz Khan. Stay tuned for latest Football news and updates. Do come back for match result, the man of the match, full HD video highlights, full / complete scorecard / scoreboard and much more. Don’t forget to share it on social media sites.